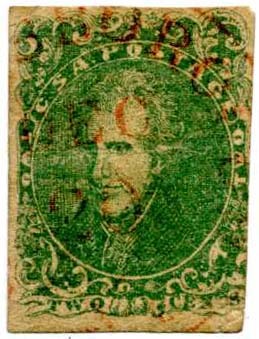 CSA 3, 2¢ green used strip of four tied on piece by three Richmond, Va. Feb 11 cancels, couple tiny sealed edge tears otherwise Fine; used block of four catalogs $4,000. $2,800. 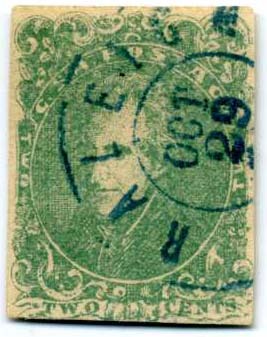 CSA 3, 2¢ green, used with blue PETERSBURG / Va. cds, tiny thin, signed Dietz, SCV $1,550. $800. 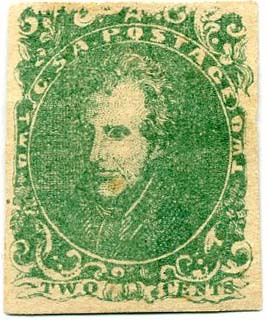 CSA 3, 2¢ green used with blue GREENSBOROUGH N.C. cds, light staining across the top and tiniest crease at top center, SCV $1,550. $650. 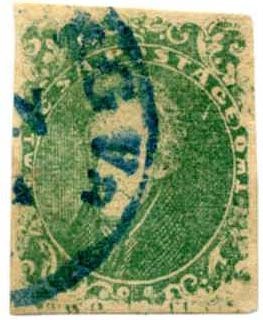 CSA 3, 2¢ green used with beautifully stuck blue RALEIGH / N.C. // OCT / 29 double circle cancel, tiniest edge thinning, scarce and really lovely, SCV $1,550. $800. 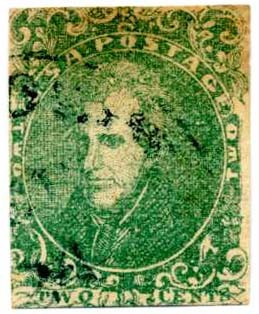 CSA 3, 2¢ green used with red Dec 20 Greensborough cds, small faults, SCV $1,550. $500. 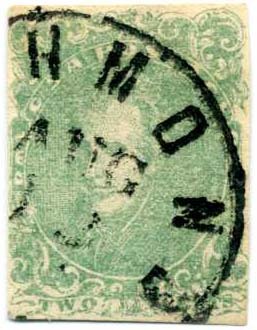 CSA 3, 2¢ green used with neat RICHMOND / VA // Aug cds, small authentication backstamp, SCV $750. $650. 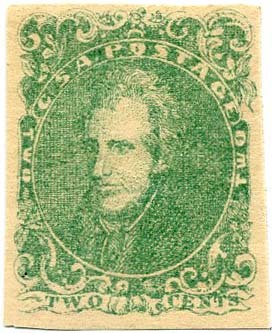 CSA 3, 2¢ green, position 46, dramatic SHORT TRANSFER at top, most of original gum, heavily thinned but Very Fine appearance. SCV $950 as normal without the unlisted short transfer. $500. 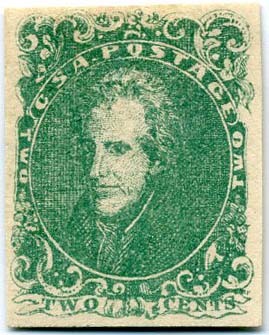 CSA 3, 2¢ green, 4 large margins, full original gum, very lightly hinged, fresh, 2017 PSE certificate for a pair, Very Fine-Extremely Fine, SCV $1,000. $1,600. 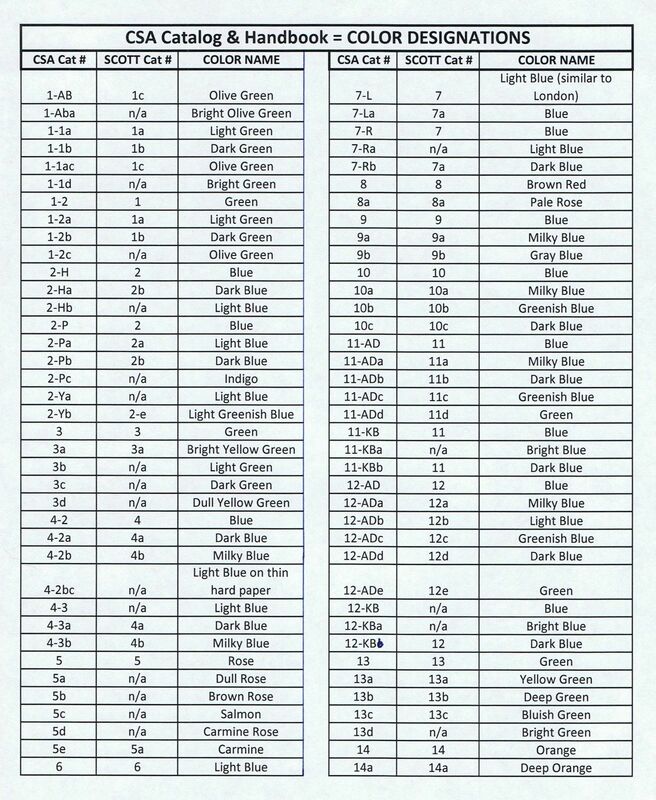 CSA 3, 2¢ green, 4 large even margins, full original gum, lightly hinged, fresh, small red owner or guarantee backstamp, 2017 PSE certificate for a pair, Very Fine+, SCV $1,000. $1,300. 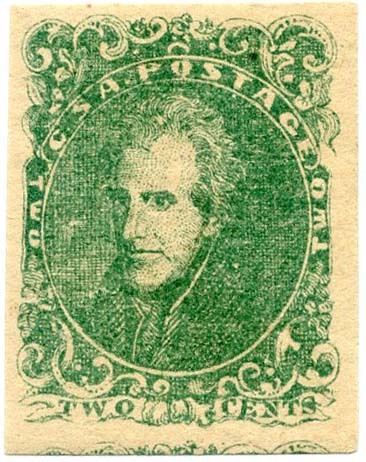 CSA 3, 2¢ green, 4 even margins all around, bright color, original gum, Very Fine+, a Beauty! 1985 PF certificate 0154789, SCV $1,000. $1,200. 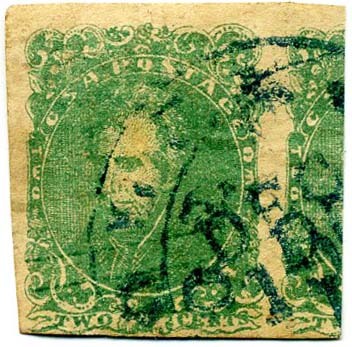 CSA 3, 2¢ green, 4 large margins including part of adjacent stamp at bottom, fresh, tiny light inclusion spot at top, original gum, light hinge remnant, Extremely Fine, 2019 SCV $1,000. $1,000. 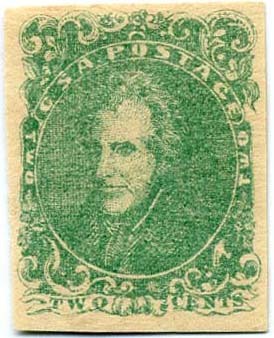 CSA 3, 2¢ green used with blue postmark, probably multiple strikes of COLUMBIA, 3 jumbo margins, couple tiny thins, very showy, SCV $1,550. $850.